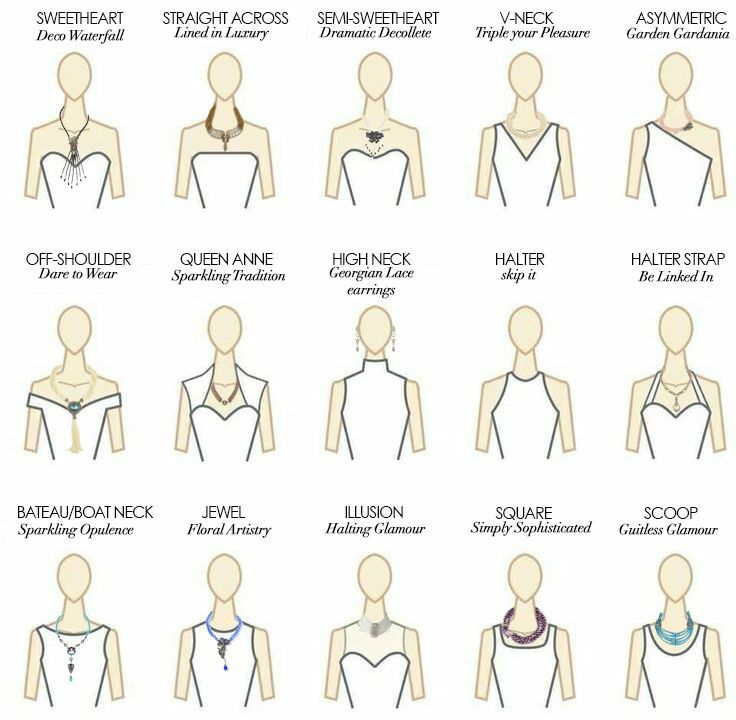 Wondering how to choose your piercing jewelry? What length piercing bar take? What size piercing ball choose? What bar for screwing a piercing mouth ? This measurement determines the thickness of the rod (and therefore its screwing). The 1.2mm screw allows you to wear discrete and elegant jewelry, while offering a wide selection of jewelry: you are looking for a little gloss, black steel microboule or luxury diamond ( see diamond piercing in his lip ) the bar diameter by 1.2 mm will allow all fantasies. Note that if you already have a 1.2 mm bar, you can screw only 1,2 mm (or vice versa) balls or glitter. The bar for piercing mouth called labret, is characterized by a screw rod side and the other side with a circular platform (this is the part of the bar that will be inside of the mouth, plated Against the mucosa). 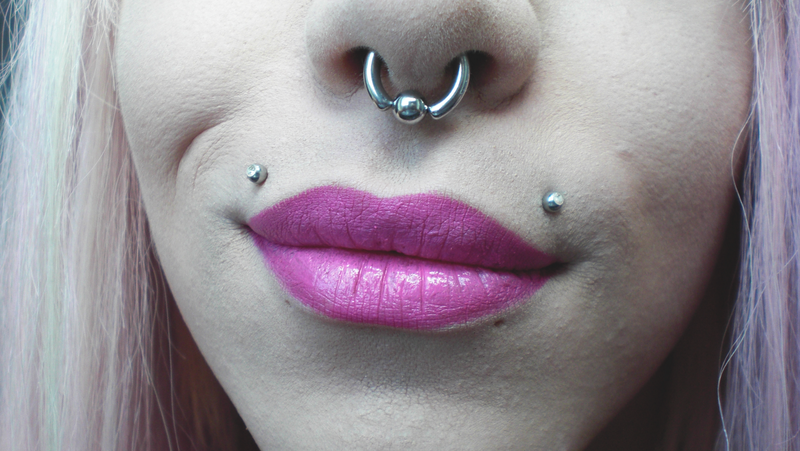 Depending on how you were so bored or morphology, bar length labret a monroe piercing vary. The lengths of the most common bar for a monroe piercing (piercing or madonna) ‘standard’ are between 6mm and 9mm. The most common size being the 7mm. To choose the right length of piercing labret bar for your piercing lip , you can simply measure a piercing bar you already own. If your labret piercing bar current exceeds 1mm, choose a bar of a size less than 1mm from the bar that you already own. This also applies to a piercing bar too short: go for a slightly longer bar. In all cases it is very important to have a bar at the right size so as not to compress the lip with a piercing jewel too tight or to have a bar too long, often unsightly and that will favor the clashes. C-bo.fr offers a wide choice of bars for labret lip piercing sold alone, you are looking for a quality steel bar, a cozy bar labret bioplast (plastic) or a luxurious bar labret 18k gold. You’re probably wondering what size piercing ball choose to piercing madonna? Or what ball diameter or shiny piercing choose for my piercing? To keep the piercing of the upper lip (Monroe / Madonna) adapted to your body while remaining discreet and elegant, it is important to choose the right size ball or gloss clipped or diamond. The sizes of balls or diamonds for this piercing vary from 1.5mm to 3mm: the rendering will be very different from one size to another. If you want a simple shine like a bright white or a piercing adorned with a diamond ( see all diamond piercing ), a diameter of 2mm around will be quite suitable. For labret piercing, the two types of bars exist are bar with a 1.2 mm screw and bar with a 1.6 mm screw. If you want to wear a labret jewelry (lower lip) more discreet, while having a wide selection of jewelry, go for the 1.2 mm. For a piercing labret with a shiny ball, a small bright or colorful balls, the bar diameter 1.2 mm will allow all fantasies. Due to its greater thickness bar, 1,6 mm offers a wide selection of jewelry and if you are looking for original piercing jewelry, which is seen and make the effect, choose a bar with a screw in 1, 6 mm: you can screw in all kinds of colored balls of steel or acrylic, long titanium peaks ( see all screw spikes ) or balls decorated with glitter. Due to its size, the 1.6 mm screw for labret is often recommended for men. Note that if you already have a 1.2 mm bar, you can only screw balls or spikes into 1.2 mm (and vice versa). If you have a bar in 1.6 mm, you will only be able to screw in balls or peaks in 1.6 mm (and vice versa). You’re probably wondering what size piercing ball choose to labret piercing? Or what ball diameter or shiny piercing choose for my piercing mouth? 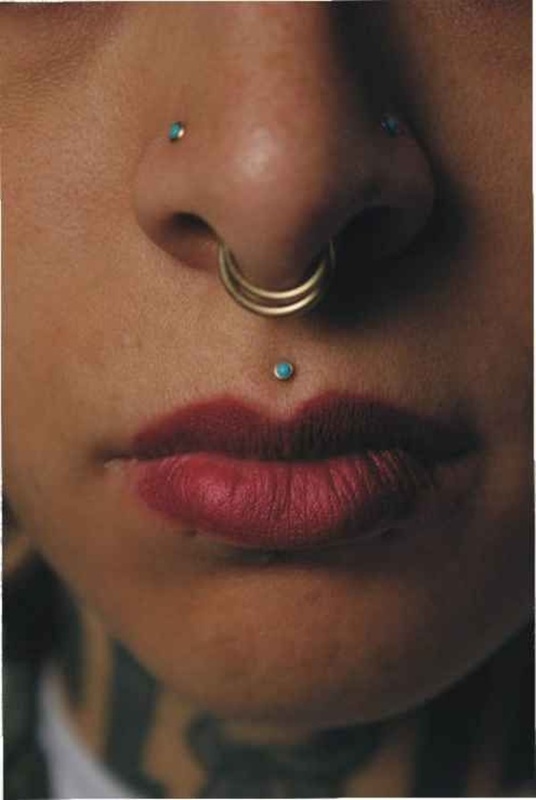 The sizes of the most common and shiny balls for piercing labret (lower lip) and shifted labret are between 2mm and 5mm. Of course, depending on your morphology and the way you have been pierced, the rendering of different sizes of piercing and shiny balls will be very different on the face. If you want a hidden gem and elegant as a piercing shifted labret with small bright clipped ( see all labret jewelry clip ), or a little ball of colored titanium or adorned with a shiny, head to the diameter (or size) Of ball / gloss between the 2mm and the 3mm. If you want a jewel who is a little more like a ball with tribal pattern, a acrylic ball neon or bright wide which gives a glow under your lip. The balls piercing 4mm and 5mm diameter are particularly popular for men piercing labret and piercing labret shifted. Here is an overview of sizes and diameters of peaks piercing the most current for the offset of labret piercing or labret. To choose the size of your peak (spike), measure the diameter of the base of Peak X peak height. The peaks (also called peak or spike) are popular for piercing labret and shifted labret piercing: the tip sizes the most common for these piercings are 2,5x3mm and 3x3mm diameter. Labret piercing : the labret bar length for the labret centered is between 7mm and 10mm, the standard size is usually the 8mm in length. Piercing labret shifted : the labret bar length for the labret on the side is between 6mm and 8mm, the standard size is usually the 7mm in length. To choose the right length of piercing labret bar for your piercing labret , you can simply measure a piercing bar you already own. If your labret piercing bar current exceeds 1mm, choose a bar of a size less than 1mm from the bar that you already own.This also applies to a piercing bar too short: go for a slightly longer bar. 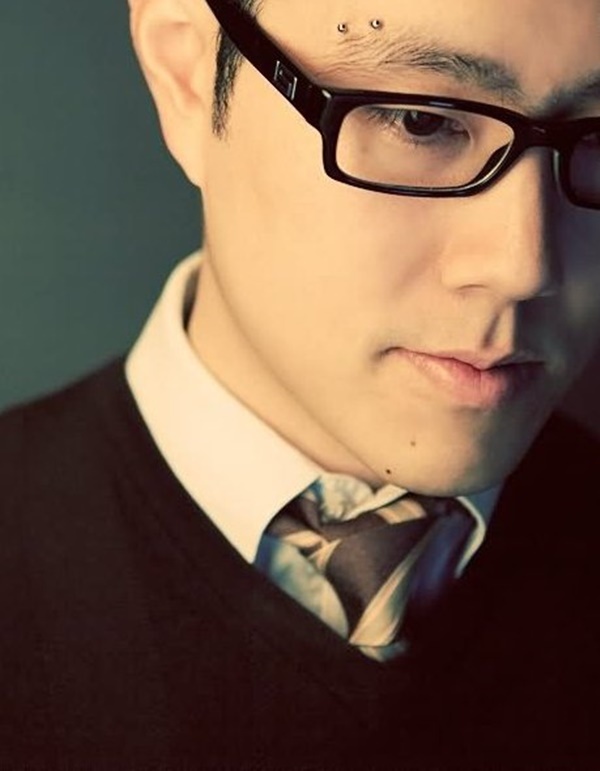 In all cases it is very important to have a bar at the right size so as not to compress the lip with a piercing jewel too tight or to have a bar too long, often unsightly and that will favor the clashes. C-bo.fr offers a wide choice of bars for the labret piercing labret sold alone, you are looking for a quality steel bar, a cozy bar labret bioplast (plastic) or a luxurious bar labret 18k gold. The internal diameter is measured in mm. The inner diameter of a most common ring, spiral or horseshoe are between 7mm and 11mm. The choice of the diameter will depend on your morphology (like the thickness of the lip) and especially the way you have been pierced: if the piercing has been made more or less close to the lip, the internal diameter will vary. Labret piercing: the internal diameter for the labret centered is between 8mm and 11mm, the standard size is usually between 8mm and 9mm in diameter. Piercing labret shifted : the internal diameter for the labret offset is between 7mm and 10mm, the standard size is usually between 7mm and 8mm in diameter. 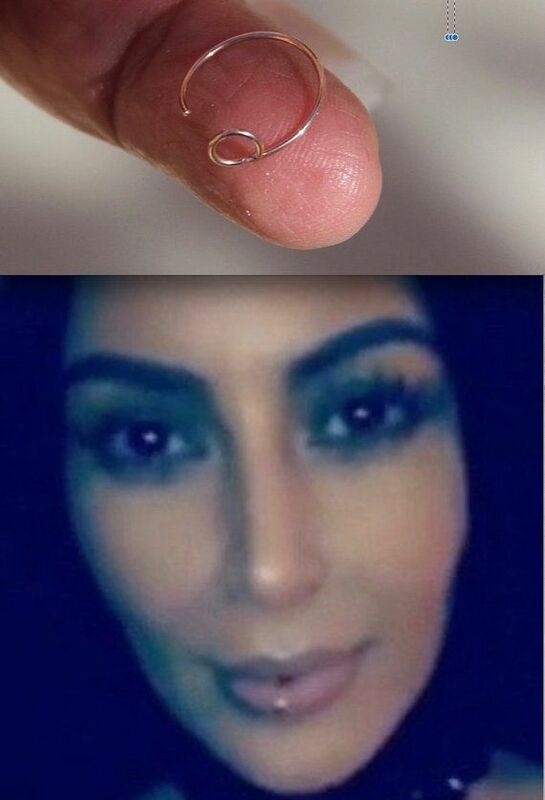 Alternatively, you can (as well as the length of labret ) measuring the internal diameter of a piercing ring , piercing horseshoe orspiral piercing that you already own (in mm).